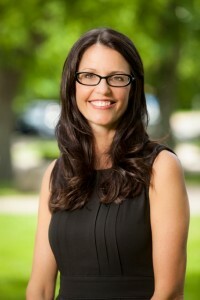 The “Be A Nurse” social media campaign and Career Choice videos are based on the research of Dr. Sheri Lynn Price which explored Millennial nurses’ career choice experiences. These videos depict the narratives of twelve Millennial nursing students at Dalhousie University. The dissemination of this research is intended to support students’ career choices, enhance recruitment, and celebrate nurses and the nursing profession. This research was funded by the Canadian Institutes of Health Research and Nova Scotia Health Research Foundation. A special thank you to the nurses who participated in the study and the Dalhousie student nurses who helped bring their stories to life on the screen. Dr. Sheri Price is an Assistant Professor at Dalhousie University, Halifax, NS. She has worked as a nurse and nurse practitioner in the areas of critical care, cardiology, community health nursing and women’s health. Her program of research is focused on understanding career choice, professional socialization and collaborative practice among nurses and other health care professionals. Dr. Price was recently interviewed about her research and the Be A Nurse project by the College of Registered Nurses of Nova Scotia.